On Wednesday March 13, 2019 a California jury awarded Teresa Leavitt $24.4 million and her husband, Dean McElroy $5 million in a trial brought by them against Johnson & Johnson. Teresa Leavitt believes her mesothelioma, a terminal disease caused by asbestos exposure, is linked to her regular use of Johnson & Johnson’s talcum powder. The Leavitt case is the first case to be tried since a bombshell report by Reuters and the New York Times about the contamination of baby powder with asbestos. Both reports sighted leaked internal documents showing Johnson & Johnson knew about the problem as far back as 1971. 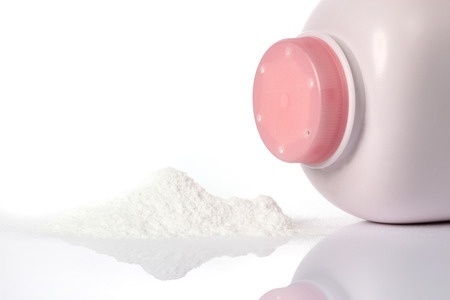 The link between talcum powder and cancer is also being debated in the scientific community. Some studies have found an increase in cancer, but some have not. Most suggest that more research is needed. In the meantime, nearly 14,000 cases have been filed against Johnson & Johnson by people who believe that using their talcum powder caused their cancer. In May of 2018, a California jury awarded $25.7 million to Joanne Anderson who has mesothelioma. Anderson stated she used J&J’s iconic talc products from the 1970’s through to the 1990’s, claiming at one point she went through two bottles a month. The most damning evidence were company documents showing Johnson & Johnson knew there was a health risk. The jury found J&J 67 percent responsible. In July of last year, a St. Louis jury awarded $4.7 billion in damages, the sixth-largest ever in a product liability case, to 22 women who say Johnson & Johnson’s talc products contributed to their ovarian cancer. Johnson & Johnson lost its motion to reverse the judgement when it was upheld by St. Louis Circuit Court Judge Rex Burlison. However, Johnson & Johnson continues to appeal verdicts and in 2017 won a reversal of a $72 million verdict stemming from a lawsuit brought by the family of a woman who died from ovarian cancer. The appeal was won on grounds that the lawsuit should not have been filed in St. Louis. Some of these cases have been selected as bellwether trials and are being watched closely to determine how future cases will be handled.